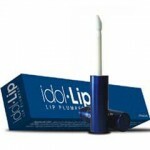 Pure Romance Lip Plumper Reviews: Can You Really Trust This Product? 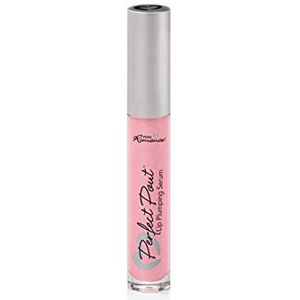 Pure Romance Perfect Pout Lip Plumping Serum is marketed as a sweet-tasting lip treatment, which is meant to plump the lips as it smoothes out fine lines and provides a perfect base for makeup. A perfectly plump pout is the best accessory you can give yourself this summer, and you don’t need to shell out a lot of money or deal with the pain of injections to get the look you’ve been craving! Pure Romance Perfect Pout Lip Plumping Serum is meant to make the lips look firmer, smoother, and more defined with continued use. In fact, Pure Romance claims the longer you use this cinnamon-flavored lip serum, the better the results. For best results, apply Pure Romance Perfect Pout Lip Plumping Serum to the upper and lower lips any time you feel like your lips need a little bit of plumping action. 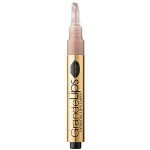 Wear it alone or layer your favorite lipstick or lip-gloss on top of this lip serum. You may also wear this product overnight. 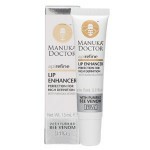 This product works upon application so be careful to work within the lip lines to reduce any inflammation or irritation on the skin around the lips. If you do inadvertently get this product outside of the lip line, don’t worry. The redness will subside in just a few minutes. Pure Romance Perfect Pout Lip Plumping Serum appears to be sold out and is no longer available on any online retailer sites. Essential Oils: Pure Romance claims this formulation stimulates blood flow and adds a bit of volume to your lips. This lip treatment tastes like cinnamon. This product may be layered with lip-gloss or lipstick. Customers claim this product doesn’t leave a sticky feeling on the lips. This product appears to have been discontinued. There is very little information regarding this product’s active ingredients. 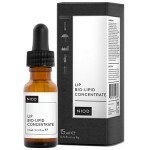 This lip treatment does not have very many reviews online. Pure Romance Perfect Pout Lip Plumping Serum may sound like it has all the benefits you’re looking for in a plumping treatment, however, there are several issues we’d like to raise before you consider purchasing. There is little to no information available regarding this product’s active ingredients. This is obviously an issue for those with sensitive skin that look out for particular formulations that will not suit their skin. This product also no longer appears to be sold on any online retailer stores, even ones that aren’t directly affiliated with the manufacturer. Pure Romance Perfect Pout Lip Plumping Serum is not currently sold on any reputable websites at this time. If you do manage to find this product sold somewhere on the internet, we highly recommend that you reach out to the seller to determine whether or not this product comes with any sort of money back guarantee. From what we can tell, this product is not attainable at this time and does not come with any sort of refund policy.